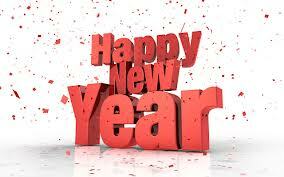 EnMart will be closed on Monday, December 31 and Tuesday, January 1, in honor of the New Year. We wish all our friends and customers a happy, prosperous and productive 2019. EnMart will be closed on Monday, December 24 and Tuesday, December 25 in honor of Christmas. We wish all our customers and friends the happiest of holidays and the merriest Christmas possible. While we’re gone, I figured I’d leave you with this parody of T’was the Night Before Christmas with a sublimation theme. I first wrote it in 2011 and it’s become something of a holiday tradition. One of the things that’s both weird and fun about writing a blog for a number of years is the fact that, over time, you forget some of what you’ve written. The focus is more on the next post to be written, not on the ones that are already done. Since the SubliStuff blog has been around since 2010, there are now eight years of posts, and today I wanted to point out a few that I thought were worth reading again. In 2010 I wrote a post entitled “5 Reasons Not To Buy a Sublimation System“. The intent was to do a tongue in cheek post that would really highlight reasons why a sublimation system would make a good addition to a shop. In 2017, I updated the post from 2010. If you’re on the fence about adding sublimation to your shop, for whatever reason, either of these posts may be helpful. One of the topics I write about often is finding your market for sublimated goods. In May of 2017, I offered 5 tips for finding your sublimation market. I think my favorite tip from that post was about showcasing what you love. Hobbies are a great place to find a new sublimation market. Another tips post, this one titled “Six Tips for Successfully Sublimating Several Substrates” (yes, I do like alliteration, why do you ask) gave tips on how to get the most from your sublimation blanks. As with many posts about sublimation, this one dealt with the idea that you will screw up and that’s part of the process. Make your peace with mistakes, everyone encounters them at some point. In 2014, the tips I gave had to do with customer service and how to provide the best to your customers. One of the things I’ve learned over the years, and shared in that post, was the fact that sometimes customers just need to vent. It’s never fun to be yelled at, but sometimes that’s what needs to happen to get the customer to a place where they can talk calmly about the situation. At EnMart, we’ve always been dedicated to education, and try to share our knowledge on this blog and at the trade shows we attend. We’re always willing to teach others about sublimation and how to be successful with sublimated goods, but there are some things we can’t teach. In 2016, I wrote a post that touched on those things. Finally, in 2012, I wrote a post on decoration intimidation. It’s something we’ve seen again and again over the years, a customer either buys a sublimation system and is too scared to use it, or finds the whole process so intimidating, they can’t even buy a system at all. The post was an effort to soothe some fears and perhaps help people to see that trying a new decoration technique isn’t as intimidating as it may seem. Getting past the fear can open up a whole new world of possibilities. If you haven’t been to the sublimation section of our website lately, you may want to pop in and take a look. We’ve added some new things and rearranged things a bit to make it easier to find the items you want to purchase. Today I thought I’d give you a brief tour. First let’s start with the sublimation blanks section, as that has probably had the biggest overhaul. We added some new items, like blank fabric and Christmas stockings and also now include Vapor Apparel in the sublimation blanks section. If you’re looking for mugs, mousepads, t-shirts or ornaments, this is the section to visit. In the sublimation ink section, you can find all the ink you would need for your Ricoh or Virtuoso sublimation printers. Inks are sorted by the printer for which they are intended. If you have an Epson printer, or don’t see the ink for your Ricoh printer on our list, please contact us and ask about it. We sell all currently available Sawgrass inks, and can obtain and stock anything that isn’t in our current inventory on request. We are proud to say we still offer Mpres Paper, the only paper we carry and exclusive to EnMart. The paper is still getting rave reviews on our Facebook page. It’s a great paper and one we not only sell, but use as well. If you’re interested in a sample, send your request with address information to mpres@myenmart.com. We’ll be happy to send you a sample via USPS. Finally, we should talk about the sublimation accessories category, which has also had some new arrivals. We’ve added individual PFTE pressing pillows as well as a pressing pillow kit. We also have waste ink collectors, heat tape and mug and bowl wraps. If you need items to make your sublimation go more smoothly, this is the category to visit. EnMart will be closed on Monday, July 4, 2016 in honor of Independence Day. We will resume normal business hours on Tuesday, July 5, 2016. We wish everyone a happy and safe holiday! Earlier today I got a call from a customer who had a question about buying a mug press. We sold this customer her sublimation system, the blanks she uses, and got her started using an oven and mug wraps. She’s doing a nice business selling her original artwork which she puts on the mugs, and was very happy with this method of sublimation until the oven she was using broke. She purchased a replacement oven, but it didn’t seem to work as well, and she called us asking about purchasing a mug press. Now we sell a high end mug press from Geo. Knight, and it’s a press I’d recommend to anyone. Our parent company has used Geo. Knight presses for years, and we know they’re well made, and well supported. I have no problem advising a customer that a Geo. Knight press is a great buy, except when I can tell from what the customer is saying to me that the Knight press, while a great purchase, isn’t really what the customer wants and needs. In this case, the customer wasn’t sure she wanted a press at all, and certainly wasn’t sure she wanted to spend what it would cost to buy the Knight. I explained why the Knight press was worth the price, but she was still hesitant, so I recommended a few other places, friendly competitors of ours, where she might find presses that were less expensive. I told her if we couldn’t have the sale, I’d rather that it went to a company I knew would treat her right. She was still unsure, so we talked a bit more. As it turned out, she liked working with an oven, had the process down pat, and found the results were great. The only reason she was considering a mug press was because her current oven wasn’t giving her the results she wanted, her previous, more expensive oven that had worked beautifully had died, and she was under the gun to finish orders. As we talked, she realized she really didn’t want a mug press at all, that she was just stressed about making her order deadlines and grasping for solutions. By the time we’d hung up, she had decided to go out and get another higher end oven and proceed with the sublimation method that she liked and knew to be successful. If there is a moral to my little story, and I think there is, it is this: our interactions aren’t about us, they’re about you. At EnMart, we believe that our job is to listen to what you need and help you find the best way to meet those needs. If meeting your needs involves selling you products we carry, that’s great, we are a business after all. If meeting your needs means directing you elsewhere and recommending a solution that may not put any money in our pockets at all, we’ll do that. Our goal is always, if we can, to create a happy customer and one who comes back to shop with us again and again. EnMart will be closed Thursday, January 1 in honor of the New Year’s Holiday. We will return to work on Friday, January 2, 2015. All orders placed on Thursday, January 1 will be shipped when we return on Friday, January 2. Happy New Year and here’s to a prosperous and creative 2015!